Looking for a stylish way of storing all your child' toys, books or laundry? 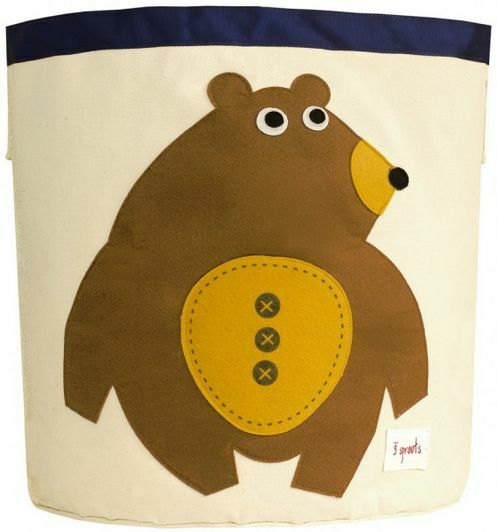 This toy storage bin is made from heavy duty 100% cotton and has a cute brown felt applique bear on the front. It is large enough to be stuffed full of toys as a great tidy away aid but can be easily folded down and stored if necessary. Great for a child;s bedrrom, nursery or living room toy storage. 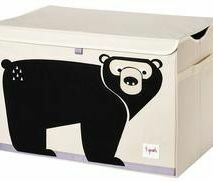 This storage bin comes from a fab range which also includes a laundry hamper and storage box, all styled with a trade mark felt applique animal.